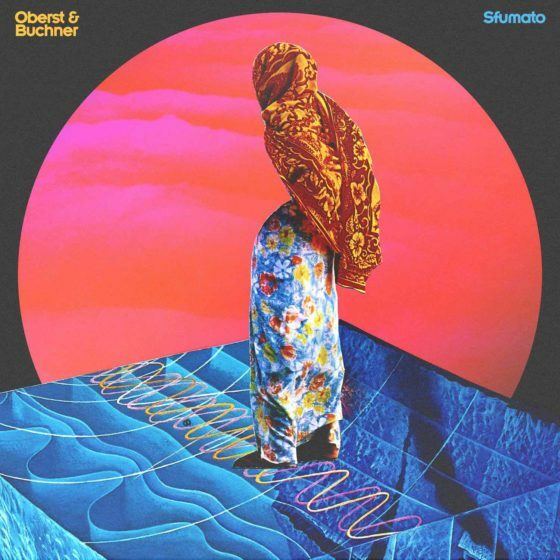 Each track of Oberst & Buchner’s debut album “Sfumato” is rich with anticipation and residue - it feels like being taken on a very controlled journey through space and time by another life form. The two friends and musicians from Vienna and Berlin shift themes and melodies gradually into one another, producing billowing pieces of music with soft and foggy outlines. Just like you can get lost in the perfection of a single brush stroke in a renaissance painting from up close, if you step away you can’t help but admire the planning, skill and instinct coming together in this album and every single track. The two producers almost seem to make use of the sounds that are not there, triggering our expectations and creating premonitions in our minds. The complex sound patterns are frequently juxtaposed by simple, almost naive melodies that make everything feel innately known but alien at the same time. On “Eye Liquor” the feature guest Tobias Koett brings just the right amount of fragility and humanity to offset the moodily awakening fantastic sonic beast beneath. With analogue sounds the two celebrate the past and the future, creating murmuring, breathing streams of consciousness. We couldn’t be more excited to see where the travels lead. The album is released digitally and on vinyl on 1st March 2019 via Hold Your Ground.